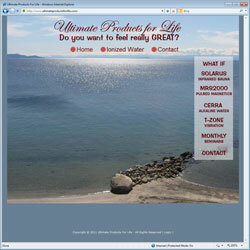 Project Scope: Ultimate Products for Life believes that the cause of most body issues is compromised, unhappy cells. If our cells get all that they need to be healthy, vital and fully optimized, our bodies would then be healthy, vital and fully optimized. 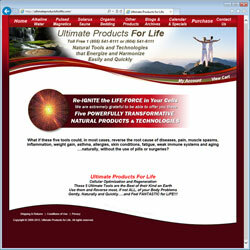 UPFL carries a full line of products to rejuvinate our bodies for optimum health.